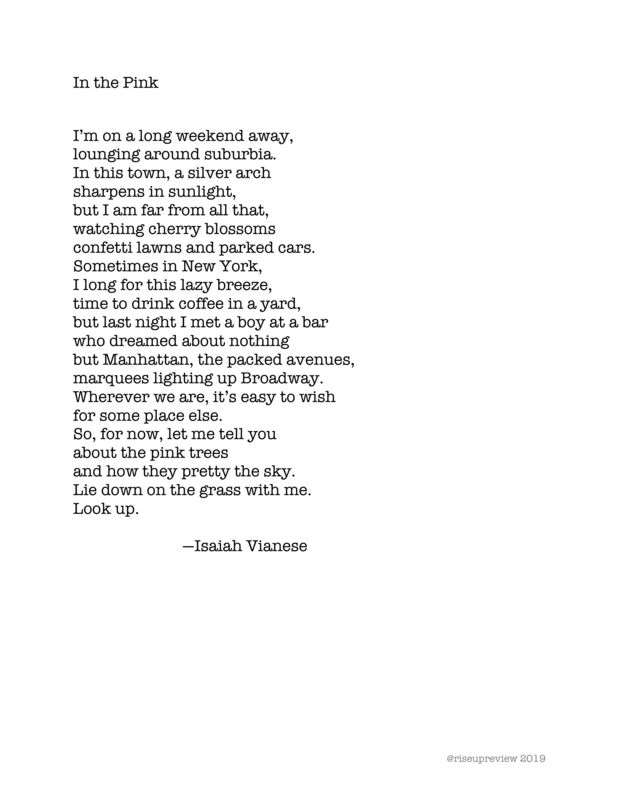 Isaiah Vianese is author of the poetry collection, Men and Music. His poems and book reviews have appeared in Assaracus, Blue Collar Review, The Fourth River, Lambda Literary, Moon City Review, and Rattle. He is also author of the chapbook, Stopping on the Old Highway (Recycled Karma Press, 2009). He lives in New York City, where he teaches writing.